. I have a fair share of them in my stash and I'm constantly reaching for them when working on scrappy projects. When I first opened Quilt Improv, I was absolutely blown away by the beauty of the photography. I have a very large library of quilting books. 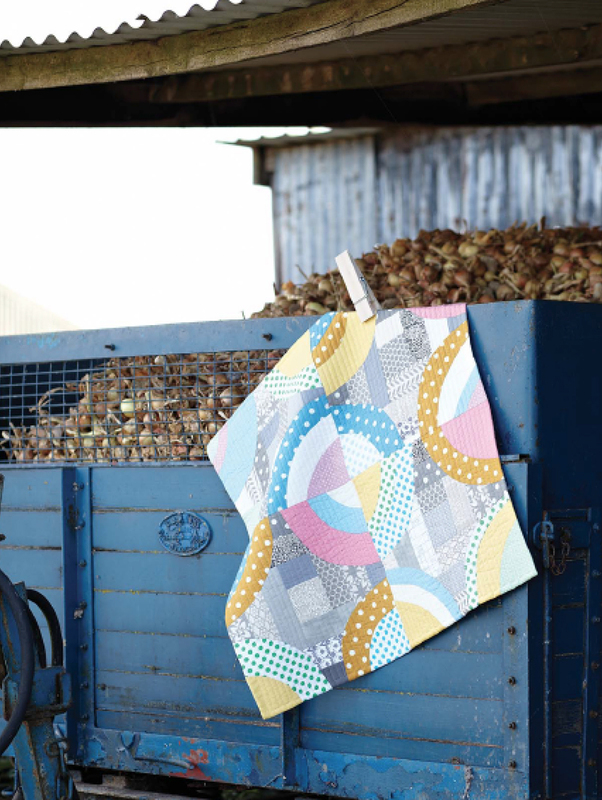 (Sort of a quilt book addict.) 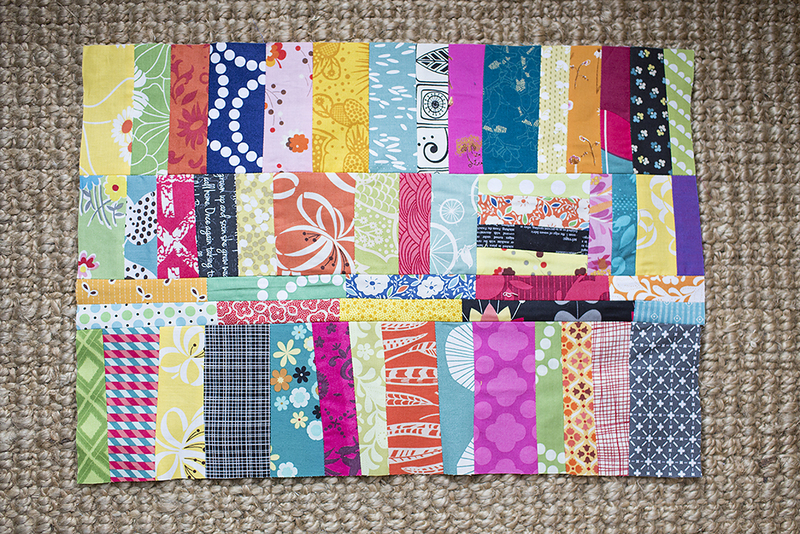 I think I can easily say, these are the most beautifully photographed quilts in my entire collection. I want to move into every picture! I honestly feel like this could be a coffee table book. Drool worthy. Quilt Improv has directions for several improvisational techniques, referred to as The Building Blocks: Applique Circle, Basket Weave, Chain Pieced Strips, Chevrons, Crazy Triangles, Half Square Triangles, Log Cabins, Pieced Squares, Portholes, Quarter Circles, String Blocks and X Blocks; as well as 12 Quilts. Is is absolutely packed with information. I decided to make a little project out of the book, and in the spirit of one of my New Year's Resolutions, include one of my kids in the fun. I showed my 4 year old the project - Chain-Pieced Strips. I let him dig through my scrap tubs and lay out all the fabrics. I trimmed them to size and sewed them together. It was actually a really fun project to work on together. He was so excited, he kept saying "I can't believe I'm making my very own quilt!!" I quilted and bound it and now it is a very special quilt for his stuffed panda. Improv can be a little scary, but it's also quite freeing and a great way to sew with kids. Be sure to check out the rest of the blog tour - some stops even have giveaways!